Hildebrandt students took part in an interesting history lesson today that took them back to the American revolution, thanks to an innovative use of technology. 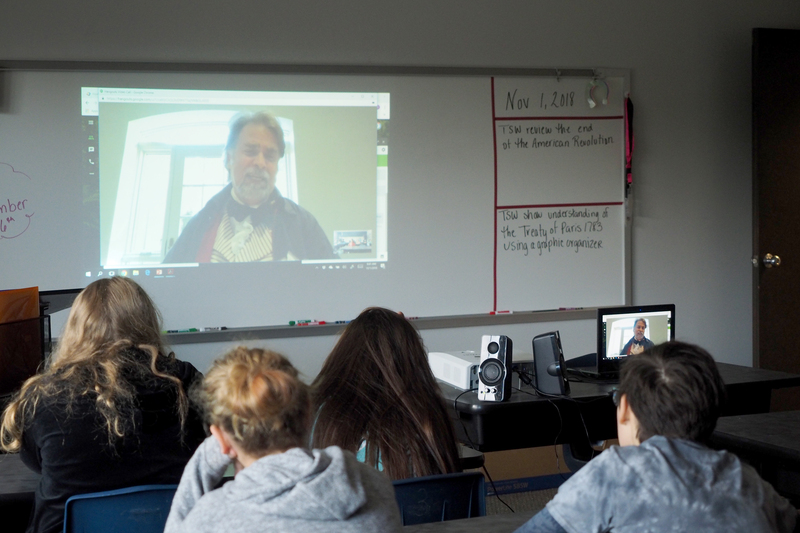 Eighth-grade students in Evangeline Mitchell’s US History class used Google Hangouts to meet up with living history educators at Mt. Vernon, George Washington’s home in Virginia. 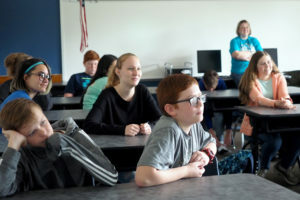 Mitchell recently attended the George Washington Teacher Institute where she was able to learn about opportunities like this digital learning experience. With a little help from technology, students are able to talk to these scholars who are living history educators. Today, they were able to talk with Dr. James Craik, George Washington’s personal physician. This style of innovative learning brings a new meaning to discussion and thanks to living history educators who are devoted to being lifelong learners and making it fun. To learn more about how Klein ISD is Reimaging Learning every day, visit http://kisd.us/rleveryday!